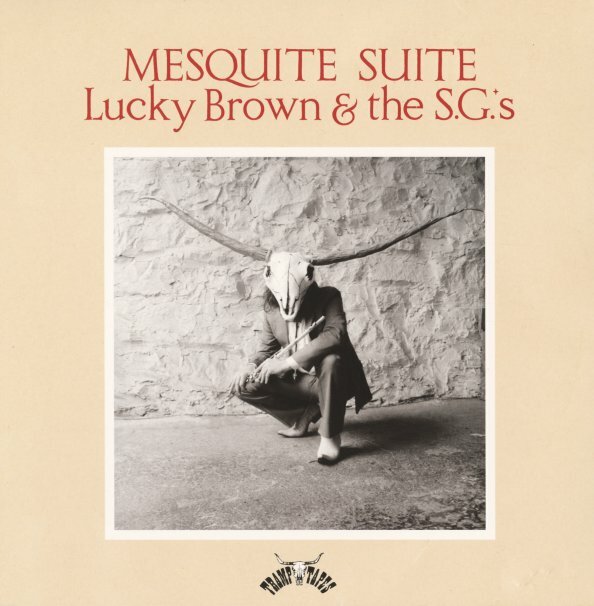 Lucky Brown is hiding under a skull on the cover – but he really lets his freak flag fly on the album – working with his cool combo in an offbeat mix of funky styles that are as tight as they are unusual! Echoes of Ethio, Afro, Latin, and other global funk modes drift in and out of the group's nicely trippy take on their sound – always with tight bass and drums at the core, but occasional guitar that can get nice and tripped-out, and a cool mix of trumpet and flute from Lucky Brown, plus alto and trombone as well! There's no vocals at all – which lets the unusual instrumental inflections speak volumes – and titles include "Taterbug", "Mother Corn Stalk", "Longhorn Waltzcha", "Lone Heart", "Saints & Beggars", "Estrellas De La Tierra", "Glancing Meteors", and "Bless Your Soul". © 1996-2019, Dusty Groove, Inc.